Abow (abalone) etc ... Abundant seasonal ingredients are used abundantly! 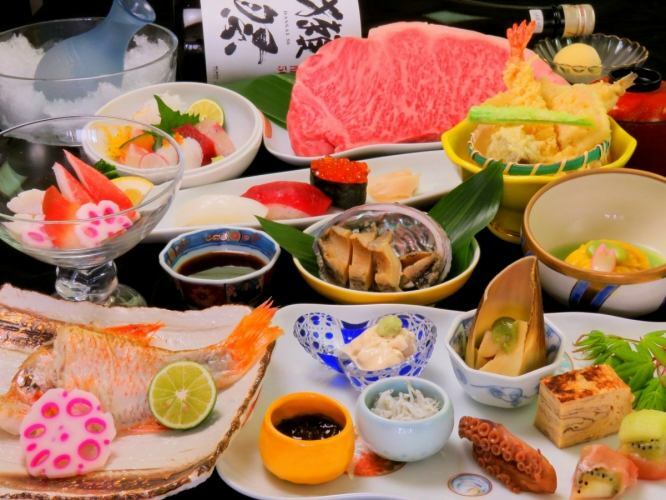 It is a premium meeting content handed by a chef who has been refining his arms for many years.Furthermore, it became a plan that you can drink all-you-can-eat festival as well as dishes as well as those who like alcoholic drinks !! Please do not miss this opportunity. ※ Since there are fluctuations in contents due to seasons and purchase, please be forewarned.